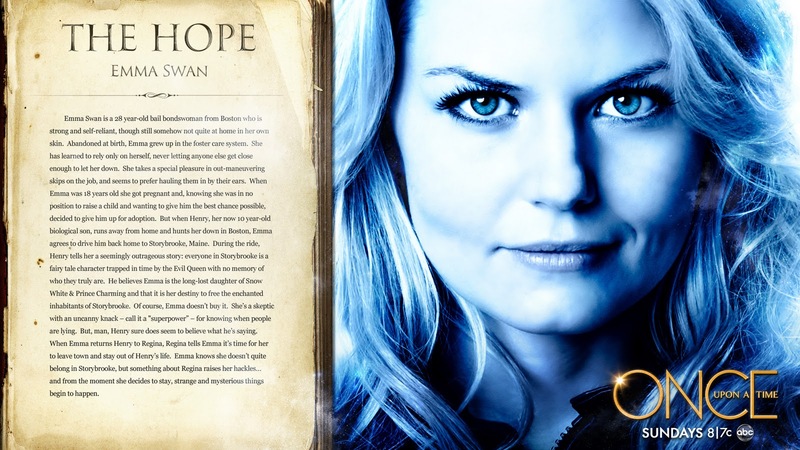 Emma हंस. . HD Wallpaper and background images in the वन्स अपॉन अ टाइम club tagged: once upon a time season 1 jennifer morrison emma swan. This वन्स अपॉन अ टाइम wallpaper might contain समाचार पत्र, कागज, पत्रिका, अखबार, खपरैल, अख़बार, चीर, and पत्र.